Look great and spread awareness in this ‘Raising Awareness’ SarcoidosisUK T-shirt. 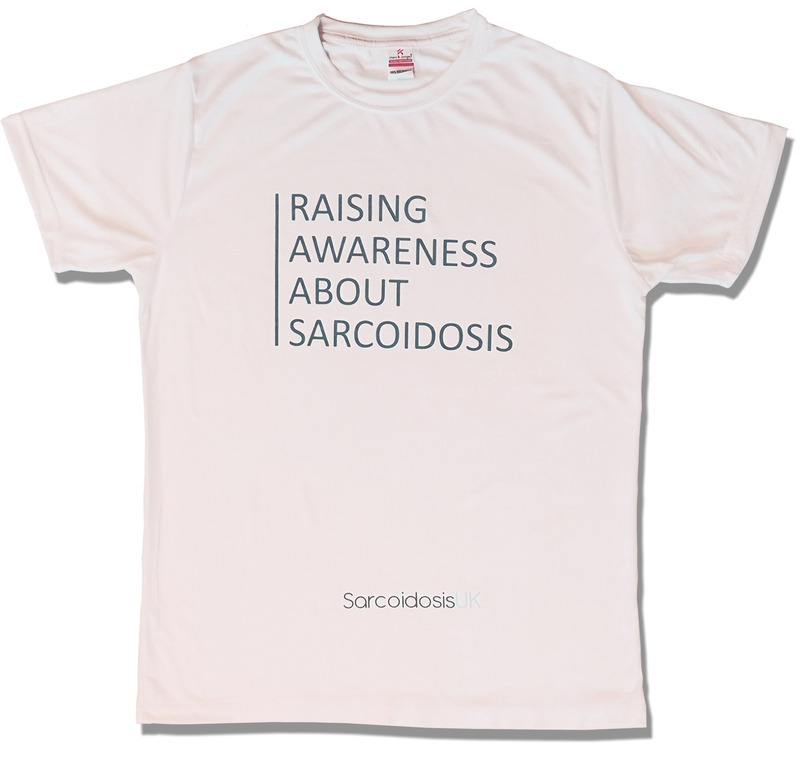 We provide a white t-shirt, which we personally design to spread awareness. 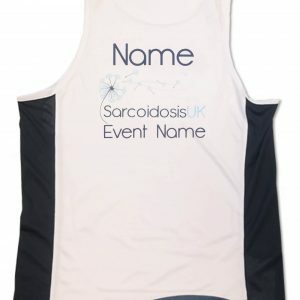 Designed with our charity logo, this is fashion accessory is perfect for spreading sarcoidosis awareness at events or gatherings. It also can be used as a sport accessory, during a fundraising occasions. The t-shirt is of good quality, being 100% rich soft cotton. This super fine cotton t-shirt includes with side seam with great fitting as well as neck tapes for durability. The t-shirts also comes in a range of sizes.